What is it and how is it calculated? Here are some tips for increasing that click-thru rate! 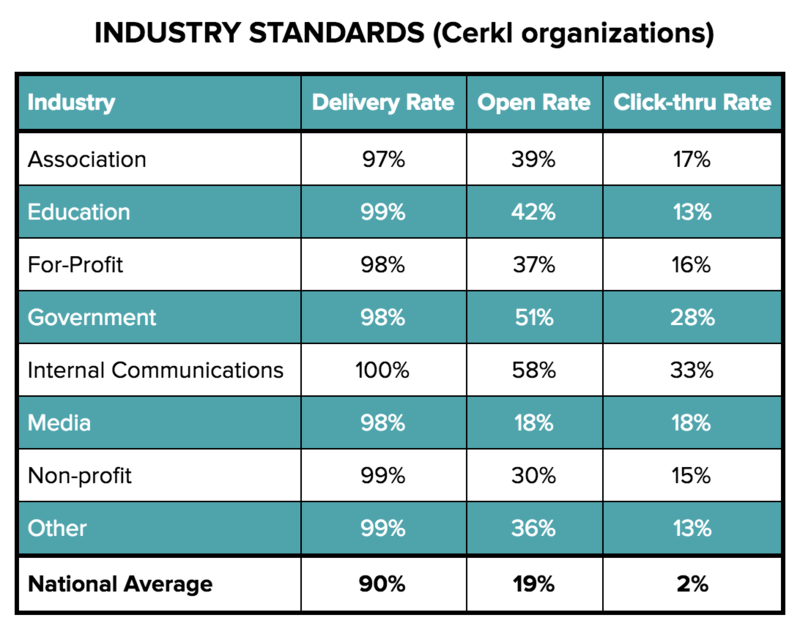 And here is a helpful chart to help you compare your statistics to other Cerkl's as well as national averages. If you have any questions at all, don’t hesitate to reach out to us at support@cerkl.com! Or use the help bot in the bottom right hand corner of any cerkl.com page for a quick answer.